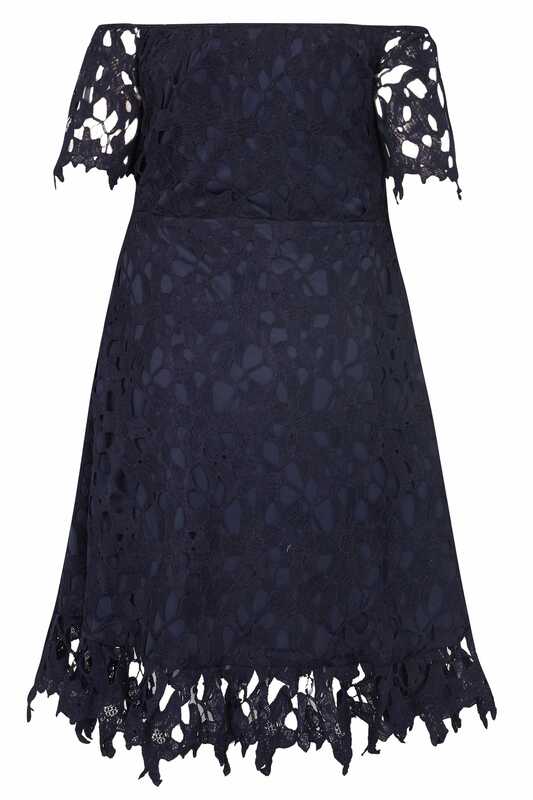 This stylish Bardot dress is perfect for parties and special occasions! 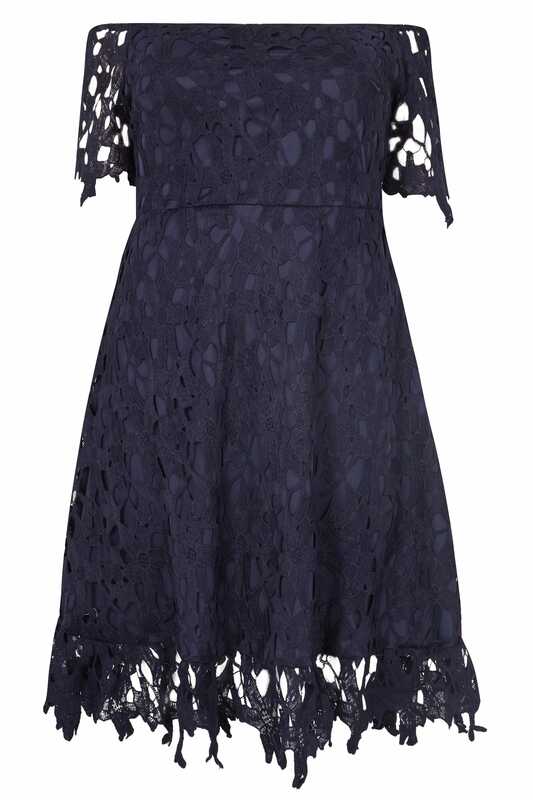 In a skater shape design, it features a crochet overlay with an inner jersey lining. Team with patent heels and a matching clutch to complete the look. It's the perfect piece for a glamorous night out or a sophisticated dinner.